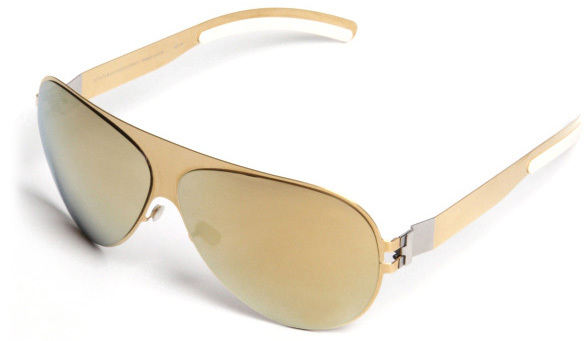 This is another extravagant model from German sunglasses brand Mykita, oddly enough from their Mens collection. Skiing is an ancient sport and method of transportation, and it was specifically the 1976 Winter Olympics in Innsbruck that provided the inspiration for Bernhard Willhelm's autumn/winter men's collection, however, but rather what the fashion designer considers a "striped hybrid". The glasses are not for sale online. 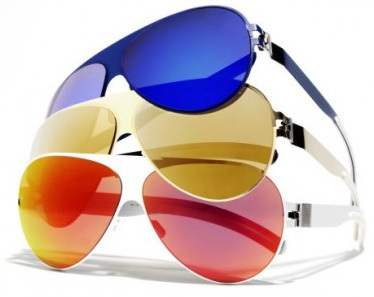 Visit the Mykita website for more information.